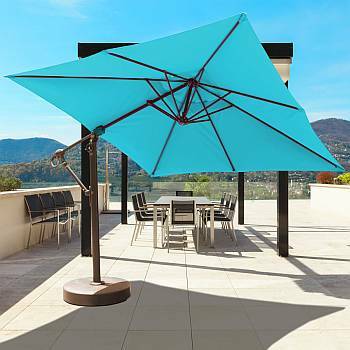 The Offset Patio Umbrella is a unique shading system that adds elegance to your patio, deck, pool side, or lawn, and protects you, your family, and your guests from the heat of the sun and damaging UV rays at any time of day. 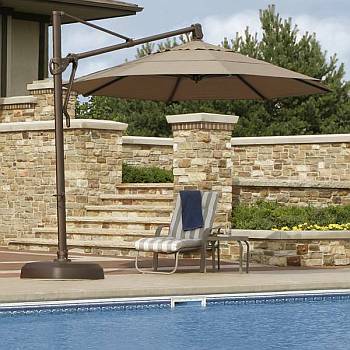 The cantilever umbrella (also called an offset pole or side post umbrella) is the most versatile and effective outdoor shade solution available. 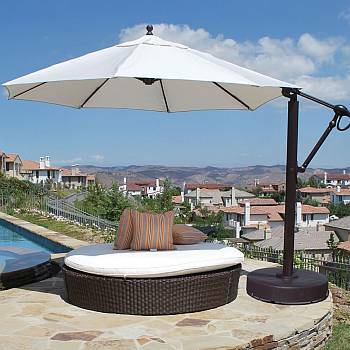 Making sure everyone stays shaded and comfortable on the patio, deck, or at pool side from sun-up to sunset is the job of an offset pole umbrella. What makes having a post on the side so special? There is no pole in the center to take up precious space in the shade or hinder views. 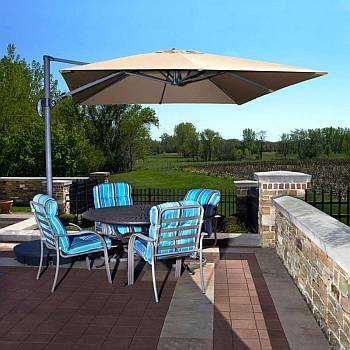 In addition, some of our offset patio umbrellas have features to tilt and/or rotate up to 360 degrees without ever having to be moved at the base, so you can enjoy the advantage of being completely shaded no matter the time of day. 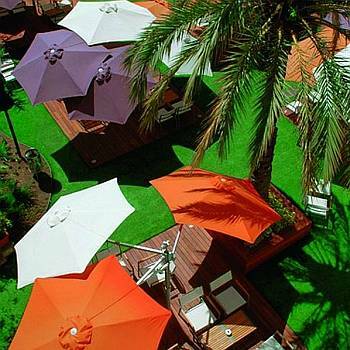 Most traditional patio umbrellas must be placed in the center hole of a patio table to keep the umbrella from tipping over. 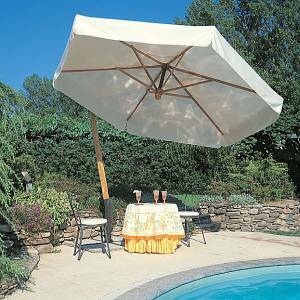 Unfortunately, the table itself benefits the most from the umbrella's shade, leaving at least one person under the umbrella partially or fully exposed to the sun's heat and harmful rays. 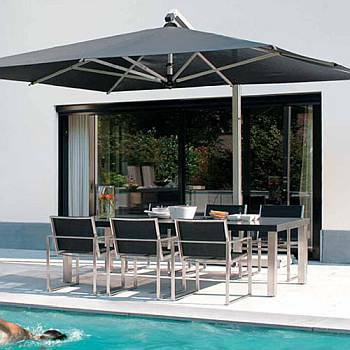 Having the pole at the side of the patio table or sofa, instead of in the center, allows you to use any type of patio or dining table you wish, center hole or not. 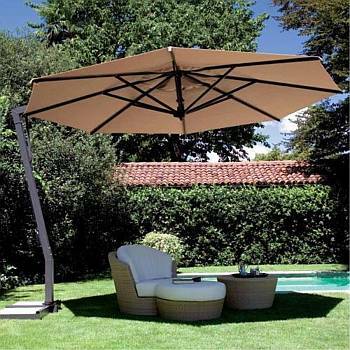 You may also choose to omit the table altogether and simply place a gathering of chairs, loveseat or sofa under the offset pole, cantilevered canopy umbrella for comfortable afternoon conversations with friends. 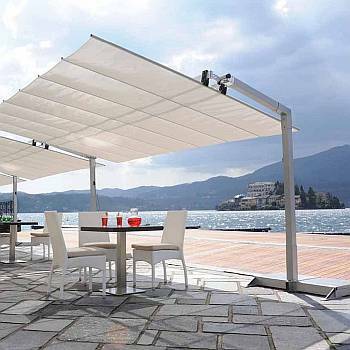 View more information about Outdoor Shade Solutions.